You Are Here: Home » About » Why Choose 3RING.com? 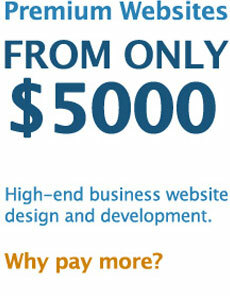 3RING.com is a division of GravySalad Inc.
We build awesome, affordable business websites. As individuals, we are at the top of our respective online disciplines. As a team, we are unbeatable at creatively providing simple, easy-to-use and quality focused web services within the strictest client requirements and satisfaction guidelines. Quickly. 3RING.com creates and rapidly deploys easy-to-manage websites and web marketing solutions for small and medium sized businesses. With our proprietary methodologies, we build beautiful “sticky” websites that can bring in and direct rivers of qualified traffic that fulfill your actionables. In short, we help you stay ahead of your competition. No-one else can harmonize the ever changing rules of search engine marketing with the complexities of coding architecture and the subtleties of design like we can. With customer service as our focus you’re assured that your interests are our interests, so everything we do is designed to make your job easier, quicker, and produce outstanding results. Results that will dramatically increase your bottom line and make you, your team and your brand look good. Real good. With over 10 years of proven online design, development and marketing experience, we’re recognized as one of the pioneers of our industry. Heck, we were getting top results when Yahoo was king and no-one had ever heard of Google – and Flash was something a creepy guy in a dark alley did! With years of outstanding performance for major clients like ServiceMaster and Dufferin Construction who have been with us since the beginning, you can feel comfortable knowing that committed, authoritative experts are on your team and working to get you results. In fact, we’re so well regarded for our search engine marketing expertise that major ad agencies, other web design firms, and various levels of government have had us consult on their search marketing campaigns. See our partial client list below. Headquartered on the ‘net, working together virtually from coast-to-coast, our office is always open with our team growing rapidly to serve your needs. Our primary areas of operation are Toronto and Vancouver, with clients around the globe. You can contact us here.